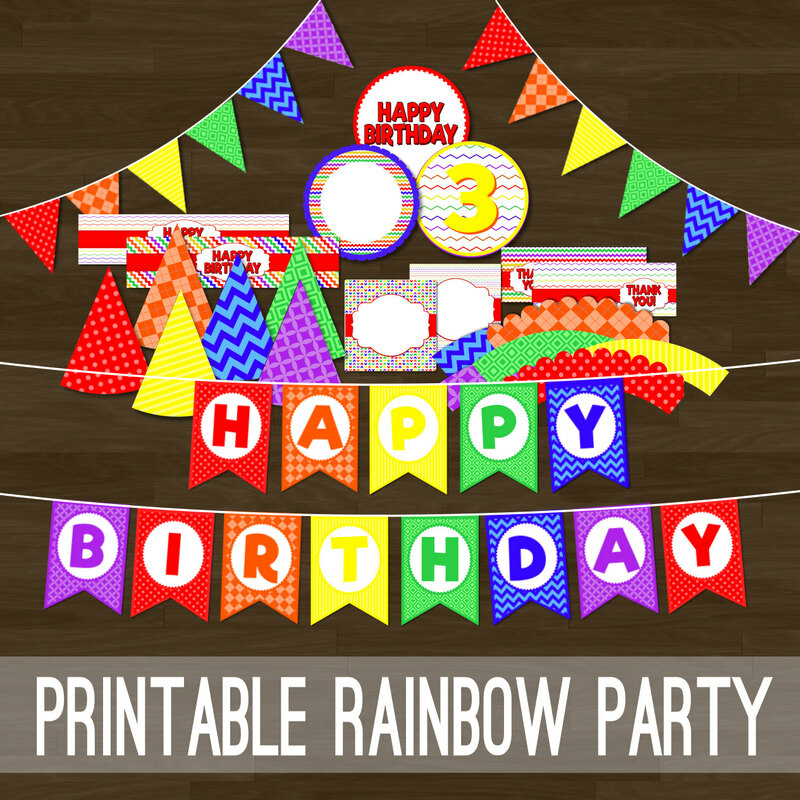 This Rainbow Birthday Party Set is a collection of instantly downloadable PDF files which you can print out yourself at home or take to a print shop. It is sized for 8.5×11" paper. These pages can be printed repeatedly to create as many items as you need. 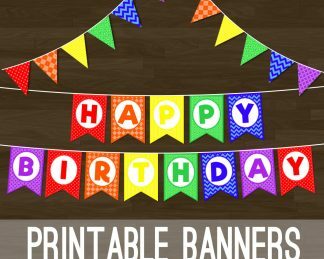 An upgrade for personalization adds your child's name on a banner and a sheet of cupcake toppers customized with name, initial, and age. 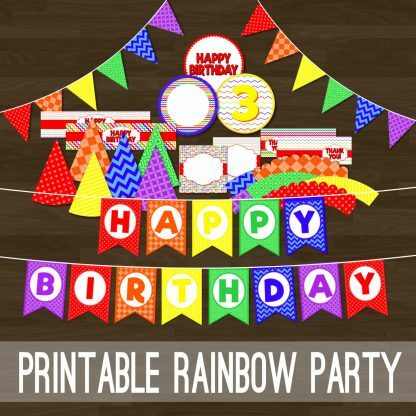 You will be able to immediately download the non-customized package and begin printing those items right away. The customized files will be emailed to your address on file within 48 hours, likely sooner. If you need them sent to a different email address, provide it in the Note to Seller field. NOTE: This listing is for DIGITAL files which you can print yourself, at home or at a print shop. You will NOT receive any physical items.